This year, the annual highlight of European graphic design conferences, TYPO Berlin, gets a very special prelude for type designers and font makers: TYPO Labs. If you’d like to know more about complex scripts, parametric fonts, hinting, accelerated kerning, and OpenType font engineering — on 10–11 May, the Forum Factory located at the heart of Berlin’s hip Kreuzberg district will host a two-day event that is all about making fonts well and fit for the future. The FontLab team will be there, showcasing FontLab VI and running in-depth workshop sessions dedicated to our new powerful font editor. Plus the people behind RoboFont, MutatorMath, Glyphs, VTT, ttfautohint, fontTools and many more! For the price of 300€ (or 240€ for a group of 3 tickets), you’ll get two days packed with typo-technical content presented by the finest line-up of geeks & experts. And then, you can stick around to enjoy the big TYPO Berlin, which is worthwhile! 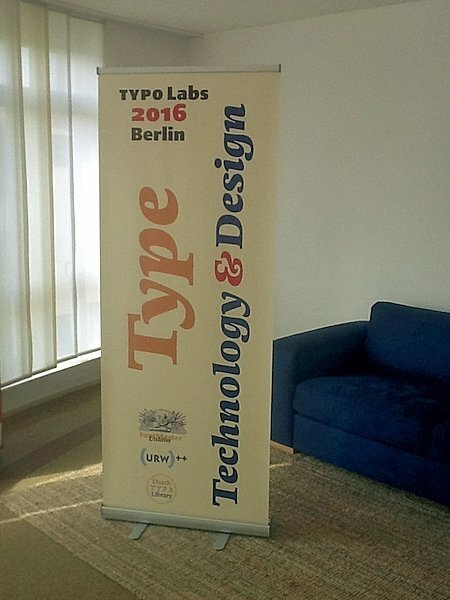 We were kindly offered a three-hours session at the TYPO Labs font technology conference that we gladly accepted, of course! 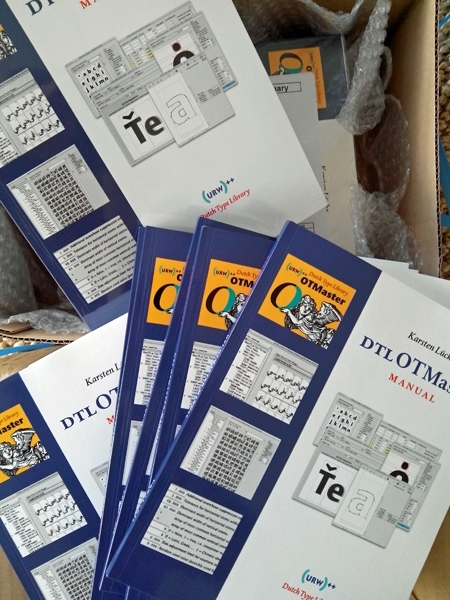 We (Jürgen Willrodt, Axel Stoltenberg, Michael Hoffmann, and yours truly) will focus mainly on OTM, but also demonstrate and discuss the successor of FontMaster (optional names are GlyphMaster and UFOMaster [Uniﬁed FontMaster]). If there are any speciﬁc wishes for our Berlin session, or in case you have suggestions, please let me know. Ready for Berlin! Let’s Baroque-’n-roll (I prefer Bach and his contemporaries over Jagger and consorts, you know) then! When was the last time the makers of 5 different font editors were presenting at the same conference? An exceptional line up. Is there going to be any video available after? 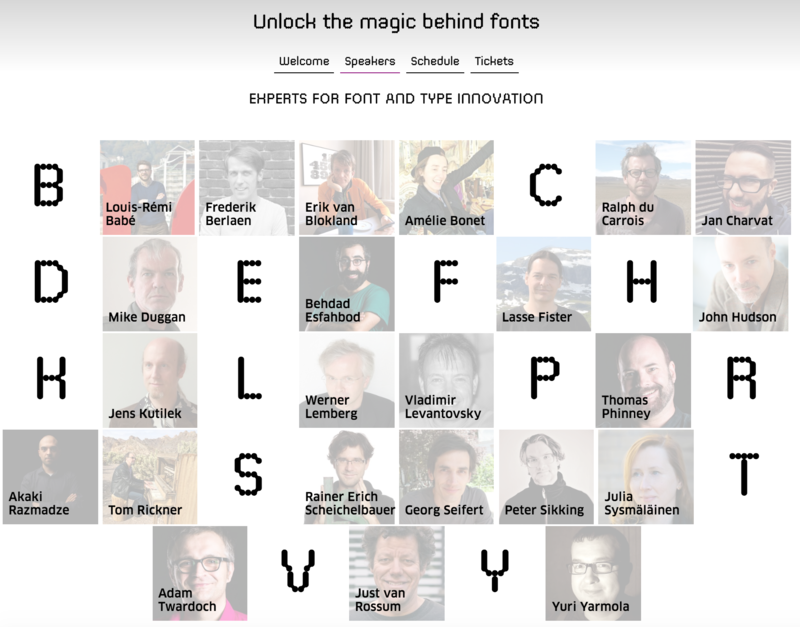 What makes the conference special for me, is that there will be different generations of font-tool makers present. For instance Jürgen Willrodt stood at the cradle of digital fonts next to Peter Karow in the early 1980s. And Georg and Frederik represent the currently highly successful group of young developers. That spans a period of almost 40 years, which basically equals the time between Gutenberg’s textura and Griffo’s roman for De Aetna! I did recently joke to Adam that we should do a plugin-writing competition, with races between teams from the different editors. I'm ultra excited to be there, and I'm happy to have my first type conference be one with such an amazing line-up. Looks like all the folks who's articles I read or tools I use will be there. It's deliciously intimidating! Is there going to be any video available after? Yes. First for paid attendees, later for all. Heck, I'd pay to get it shortly after the paid attendees but before "all". I might not be alone. More revenue. Well spent. Pass it on.